Video has become an increasingly crucial to law enforcement tool, whether it comes from security cameras, police-worn body cameras, a bystander's smartphone, or another source. But a combination of "deepfake" video manipulation technology and security issues that plague so many connected devices has made it difficult to confirm the integrity of that footage. A new project suggests the answer lies in cryptographic authentication. Called Amber Authenticate, the tool is meant to run in the background on a device as it captures video. At regular, user-determined intervals, the platform generates "hashes"—cryptographically scrambled representations of the data—that then get indelibly recorded on a public blockchain. If you run that same snippet of video footage through the algorithm again, the hashes will be different if anything has changed in the file's audio or video data—tipping you off to possible manipulation. Users need to set the interval to balance system constraints on devices with what a camera may be filming. Creating hashes every 30 seconds on a police body camera might allow quick and subtle, but still potentially impactful, manipulations to slip through. Setting the interval to every second on a small businesses's surveillance camera might be overkill. 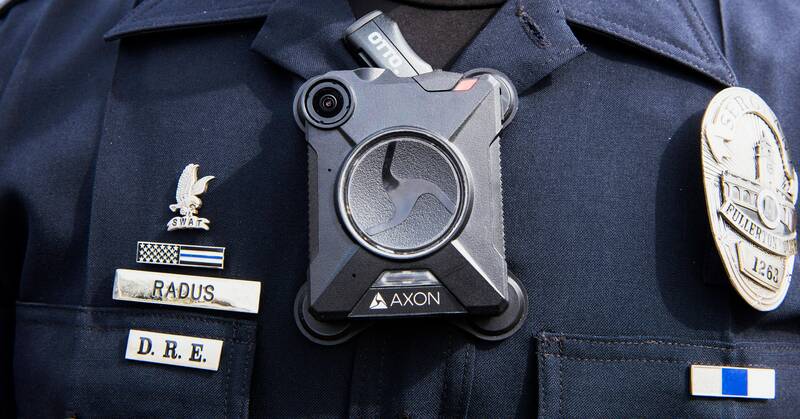 "There's a systemic risk with police body cameras across many manufacturers and models," says Amber CEO Shamir Allibhai. "What we’re worried about is that when you couple that with deep fakes you can not only add or delete evidence, but what happens when you can manipulate it? Once it’s entered into evidence it’s really hard to say what's a fake. Detection is always one step behind. With this approach it’s binary: Either the hash matches or it doesn’t and it's all publicly verifiable." "We can show that there are ways to ensure that all parties have faith in the video and how it was captured."